That’s right, you read that headline correctly. Everyone’s favorite media app, Tik Tok, is now in club form. If you were wondering where all famous Tik Tokers started, they started out right here at William Paterson University. The Tik Tok Club is looking to see some new faces at their club meetings. Just to fill you in, this club is full of William Paterson’s finest – the most outgoing and creative students you will ever meet. The club was founded in 2018 when a group of bored college students started brainstorming ways to make campus more fun. The Tik Tok Club promises to help you on your road to fame. Club member Holly wants the whole school to know how much fun she has being a part of this club. During club meetings, there is absolutely no face-to-face communication, just whip out that phone and get that camera going. As the semester is coming to an end, some of the clubs best Tik Tockers are graduating and they need new members to take leadership positions. 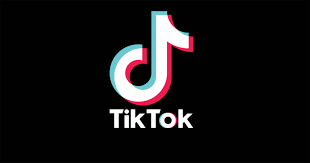 To be accepted into the club, students have to undergo a series of tests to see if they are Tik Tok ready. Be prepared to “spill the tea” and prove you have “the horses in the back.” Students interested in joining the club are advised to create an account and make a brief Tik Tok video on why they think they deserve to be included in this wonderful club. Make sure to add as many special effects as you can to show all your abilities and impress the team.